You always toss and turn around your bed every night. You can’t get enough rest. You usually wake up in the morning feeling tired. And your partner isn’t exactly fond of your movements, as he has been complaining about it the past few weeks. But you can’t replace your mattress, right? The lack of manufacturing defects mean you can’t just call the manufacturer and ask for a replacement. So what are you going to do? Why don’t you add another layer on top of your mattress? The reason why you could be repeatedly tossing and turning might very well be the mattress too firm for your body. Or it could be due to the mattress overheating, causing you to perspire. It may also be due to some chronic back pain causing you to stay up late. If so, then you could put a mattress topper that is breathable and contours to the unique shape of your body. 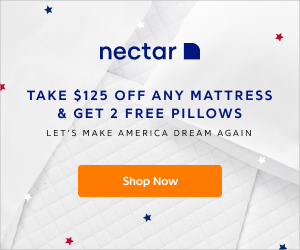 Try the 2-inch Visco elastic memory foam mattress topper from SleepBetter. 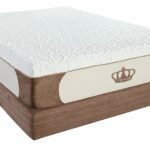 Many reviews on Amazon.com point out that it is a good addition to beds that aren’t comfy and luxurious. And for the price a lot lower than a regular mattress, this item is really worth a second look. 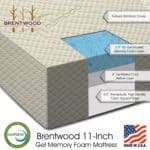 Aside from queen, there are other sizes available for this memory foam mattress topper. There’s king and California king, as well as twin, full, and twin XL. 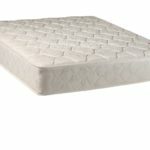 The mattress topper is made from visco elastic memory foam which is known for its ability to adjust and contour to any form, taking cue from the body shape of the sleeper. This is also the same material used in the beds of top hospitals due to its therapeutic qualities. The material also distributes weight more evenly, and can relieve pressure points. This makes the topper a good choice for people who complain a lot about back or shoulder pain keeping them up all night. The material is also designed to promote good blood circulation which makes it likely for you to move around, looking for a more comfortable position. And you won’t really toss and turn around when you are comfortable and cool sleeping on this mattress pad. The open-cell design of the mattress pad also adjusts to the ambient temperature, thus keeping you cool when it is hot and keeping you warm during the cold months. This mattress is ideal for pregnant women, the elderly, and just about anyone wanting to have a good night’s sleep. This is the thinnest memory foam mattress topper that you can get, so you’re getting basically a mattress pad with very little support. When you push it in, the mattress topper basically comes back out almost instantly. It won’t work for people looking for an extra soft cushion, but it should be good enough for bed owners who want to add a minimal layer of soft surface to their beds. It may be the thinnest memory foam mattress topper but this doesn’t mean that it won’t be able to provide pressure point relief. According to most owners who wrote their reviews on Amazon.com, it is very much capable of relieving pain in the back and shoulders. 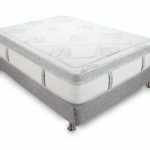 The manufacturer of the mattress topper, SleepBetter, backs up this product with a five-year limited warranty. Most mattress toppers only have a three-year limited warranty, but SleepBetter ups the ante so to speak by offering a long warranty period for this product. Generally speaking, the 2-inch memory foam mattress topper is well-rated on Amazon.com. 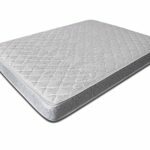 Majority of those who wrote about it say that it is an affordable product that can extend the life of a mattress. Others say that it made their bed even more comfortable to sleep on. Such is the experience of a 30-year old housewife who bought the mattress topper with the belief that it can make their bed more comfortable. She said their mattress is around two years old but it has become too firm for them. Her husband has always been complaining about waking up with back pain because the mattress has become that rigid. When she shopped for mattresses, she was thought twice about buying because of the prohibitive prices. She then found about this mattress topper on Amazon.com, and encouraged by the positive reviews, she eventually bought it. She recalls that the mattress pad topper arrived a day after she paid for the purchase. She found the mattress topper easy to install, because it wasn’t that heavy for her. On the first night, her husband slept so soundly that he commended her the following morning. The husband was very much impressed with the mattress topper that he recommended buying another for their child. Another reviewer was a single guy in his 20s. He said that he bought the mattress topper a few weeks after he got his first job. He wasn’t happy with the old mattress he has been sleeping on and the demands of his job also meant that he was often tired and in pain upon arriving home. He said that he was impressed with the mattress topper that he recommended it to his girlfriend, who also bought one. He says that it gives pressure point relief on his aching back, as well as his shoulders. Those many sleepless nights have become few and far in between ever since he bought this mattress topper. 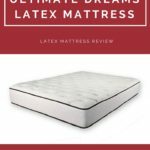 There’s also a 58-year old man who wrote positively about this mattress topper. He mentions that aside from helping relieve back pain, this mattress topper has remained cool for the most part. He says he has a tendency of sleeping naked at night because his old mattress always overheats. But now he even uses a blanket when sleeping because this mattress topper remains cool. Of course, not all reviewers on Amazon.com are happy with this product. They complain about the smell coming from the mattress topper. One reviewer said he got sick with colds the first week of using the mattress pad. He was about to return the item if it didn’t make him sleep well during the first week. This mattress pad topper could very well be the product you need to make your bed luxurious and comfortable again. If your mattress has become too firm for your taste, you don’t have to buy a new one. Invest in a mattress pad topper like this one from Sleep Better and you will see how much a difference it makes. The smell may irritate you but just heed the advice of the manufacturer. Air it out a bit after opening the package. After a few nights, you could well be on your way to more restful sleep thanks to the added comfort and cushion given by this mattress pad topper.